File contains 3 reading logs. one for at risk kids, and 2 for general education students. 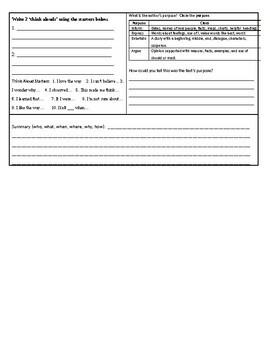 Reading logs are on 1/2 sheet of paper with activities for them to do on the back such as sentence starters for reflection, summary writing, figurative language, structure, and purpose. Activities can be done with any novel or story book.